Your organization has a small IT team, but you can’t ignore the technology challenges facing your growing business today. You are expected to drive digital transformation, address the needs of a changing workforce and increase business agility. 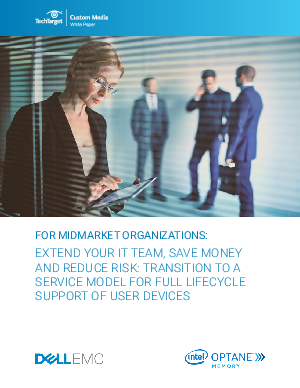 This whitepaper discusses the benefits IT decision-makers at midmarket organizations can achieve by transitioning to a professional support service model that helps them choose the right devices to maximize workforce productivity—and then manage those devices throughout their lifecycle.